Hulchi Belluni Diamond Pendant in 18K White Gold, .71 CT TW. Like a shimmering drop of dew slipping from a morning leaf, this Hulchi Belluni teardrop pendant beautifully glistens with every spark of light. Wonderfully crafted in 18K White Gold, this radiant Hulchi Belluni Diamond Pendant features 61 skillfully encrusted diamonds, .71CTW, and is slipped on a matching 16/17" White Gold Chain. 5.0G. Come to Tara Fine Jewelry Company and bask in the grace and beauty of this sparkling pendant and to see all the innovative Hulchi Belluni designs. You'll love seeing the beautiful showroom brimming with the very latest styles of diamond rings, pendants, bracelets and earrings, as well as admiring the most extraordinary collection of the finest Swiss watches by Rolex, Omega, Breitling and Tag Heuer. 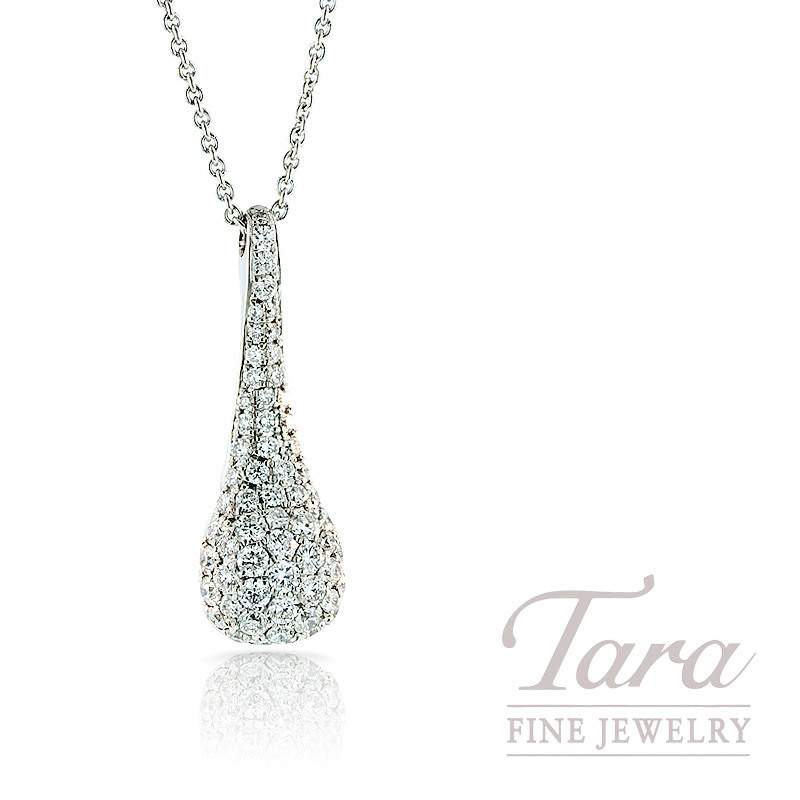 Always striving for ultimate customer satisfaction, Tara Fine Jewelry Company is Atlanta's jeweler for the finest jewelry and selection delivered with premier personalized service. This Item is Temporarily Out of Stock- Please know that we would be happy to special order it for you! Give us a call today for more information on pricing and availability.